Judging took place on April 4 of the 45 nominations received for Volunteer Awards. All those short-listed will have received an invitation to the ceremony on Saturday, April 22, at 4.00 p.m. in the Quay Theatre. Winners will be announced at this ticket-only event and presented with engraved shields, with runners-up being given certificates to (…)recognise their contribution to their local voluntary and community sector organisations and the community. 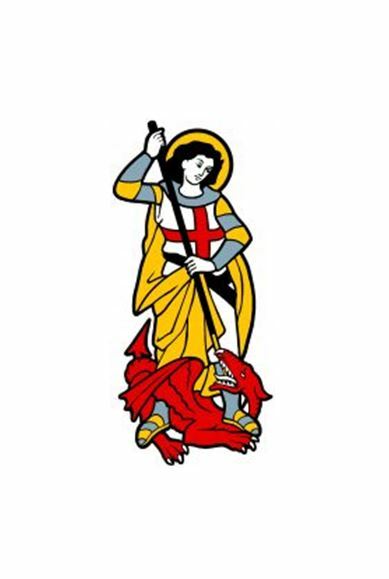 The life-size St George and the dragon is currently in Sudbury Tesco and will appear in Sudbury town centre on Maunday Thursday and Easter Saturday, when programmes for the St George’s Country Fair will be handed-out. The free programme lists all the stalls and entertainment on offer for this free family day out on Sunday, April 23 at Sudbury Cricket Club Ground. The latest addition to the programme is at 2.00 p.m. when the bells of St Gregory’s Church in Sudbury will be rung for around 30 minutes in celebration of St George’s Day. Breaking news is that Tesco will provide every entrant in the children’s fancy dress competition with a small gift, and will also provide to every child who visits the Country Fair a picture of St George and the dragon for them to colour. Completed entries taken to Tesco in Sudbury will receive a prize and one overall winner will be chosen from the pictures submitted. A bumper raffle will be on offer from the Sudbury Market Town Partnership, the charity which is organising the weekend’s events, with prizes generously donated by Sainsburys, Tesco, and Waitrose stores, Assington Plant Centre, the Sudbury Society and some private donors. PRS for Music has generously granted permission for the use of copyright music on the day. The Croquet Club in Quay Lane has just announced that it will be joining cricket, hockey, bowls, tennis, rowing and canoeing with taster sessions. Judging of the competition entries for short stories and paintings from primary school children is now underway and winners will be notified before the event. Programmes may be obtained from Sudbury Town Hall and the Tourist Information Centre in the Library, and will also be delivered to local schools, so that every child can take one home. Contact Lesley Ford-Platt on 01787 372171 for more information.